55 total news articles in this section, 10 per page. A fellow fan by the screen name Sinestro found several YOTH Optimus Prime figures at his local TRU. There were no Starscreams, however. 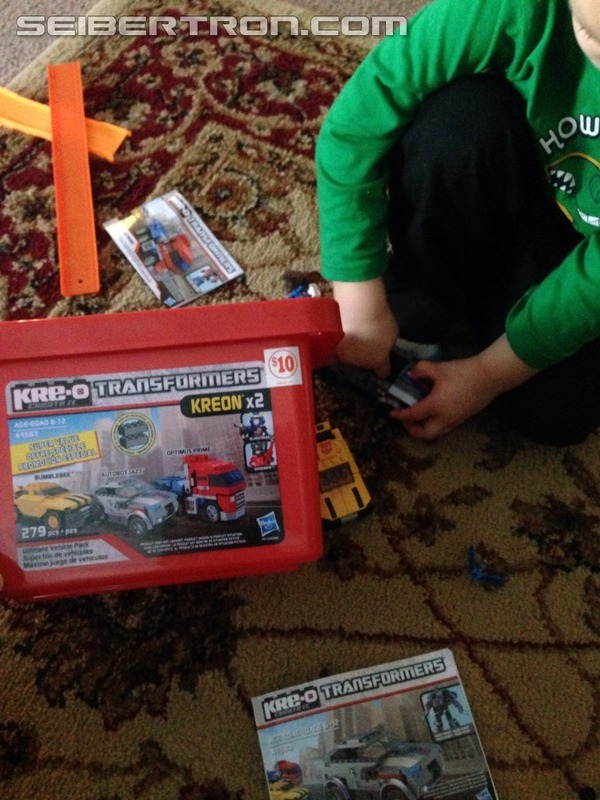 He also provided picture proof of his find. 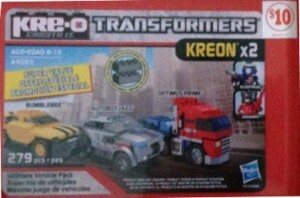 Does this mean we'll see it be released sooner by BBTS? That question seems to remain unanswered. Sinestro wrote: Four YOTH MP Prime into Cribbs Causeway store, no Starscream though. Generations 2014 Deluxe Wave 1 Hitting More Stores Across The U.S.
As more and more people come across finding the latest wave of the IDW Generations Deluxe figures, we thought we would showcase a couple fellow Seibertronians who took the time to post or send us news of their recent finds just in case a few people were busy with holiday events and didn't realize that these were hitting stores. 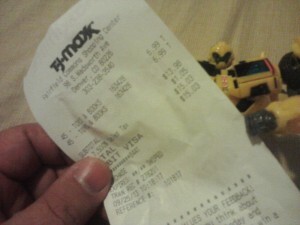 Seibertronian pondimus shows off his find at a Toys'R'Us in Hayward, California. 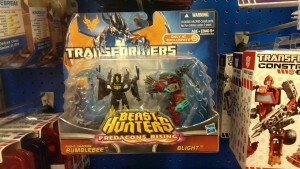 bounti76 also sent us a picture of his find also at a Toys'R'Us in Murray, Utah. If you have a new finding and would love to feature it on the front page of Seibertron.com, please send us the news and a picture if possible by using the Submit News link at the top right of the front page. 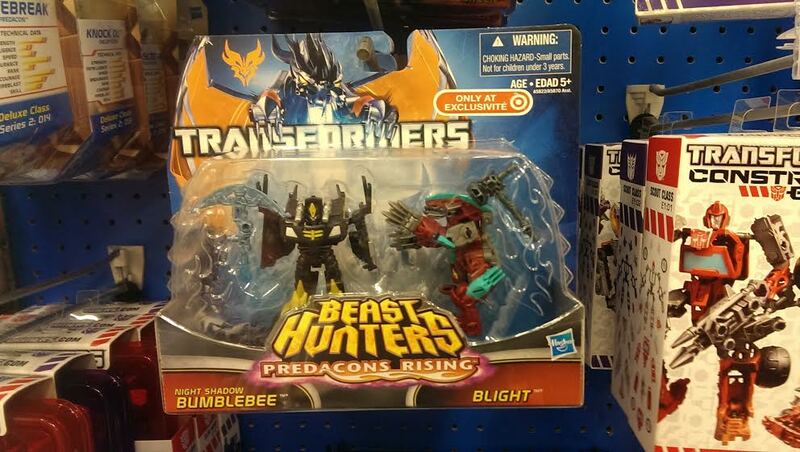 If you've been keeping up with our Predacons Rising news, you'll notice that the Legion-sized two-pack Night Shadow Bumblebee versus Blight hasn't been spotted in Target yet. No longer! Seibertron himself stopped by his Target in Rosemont, Illinois, and found this elusive set while getting some Christmas shopping done. 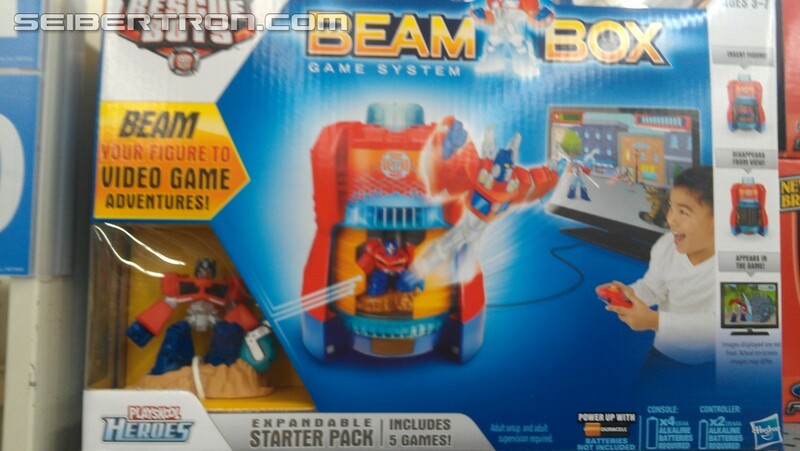 Seibertron podcast staffer jON3.0 has sent us picture proof of the first sighting of the Rescue Bots Beambox Video Game System. 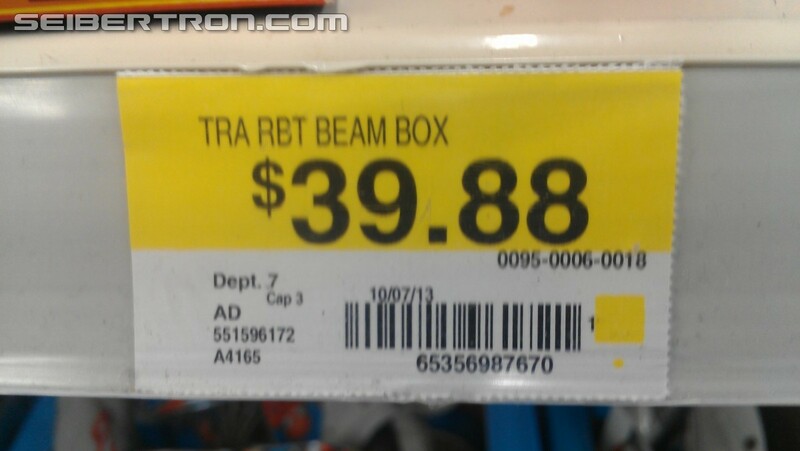 This sighting happened at the Wal*Mart Supercenter in Memphis Tennessee. 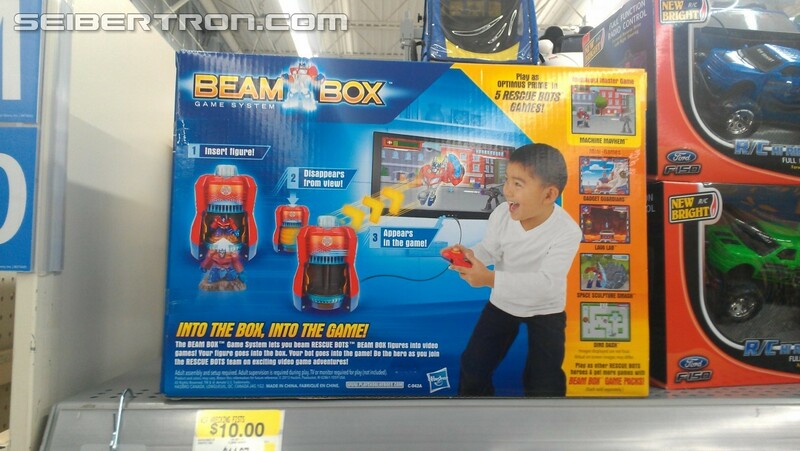 This Skylanders like game is Hasbro's first foray into this gaming/collectible market and much like the Skylanders system, collectible figurines are required to play and unlock features in the game. 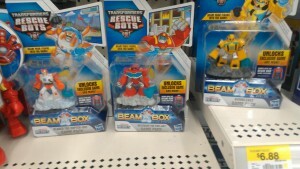 jON3.0 wrote: The Beambox itself was sold out but the shelf spot and price sticker were there as well as Bumblebee, Heatwave and Blades. The figurines are $6.88 each, the console itself is $39.88. It is indeed news. 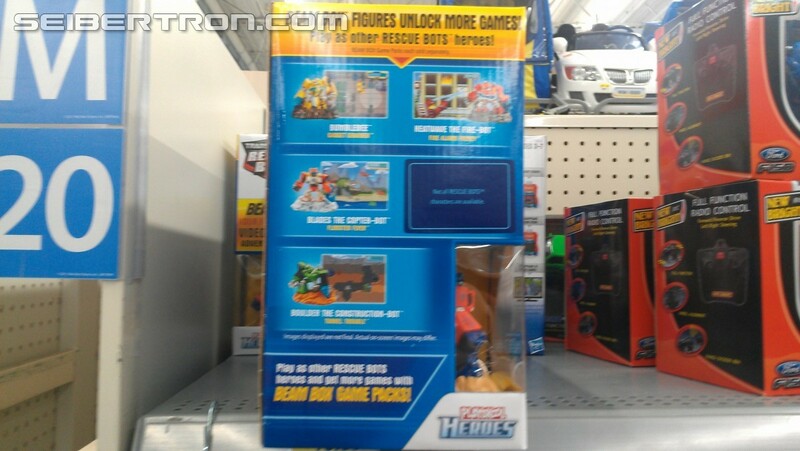 Some of you may notice the same assortment of figures and this bucket being available at both Toys R Us and Amazon for a while now, but there's not always a TRU close by for many fans, and a growing number of people (including fans) tend to shy away from online transactions, so this news is for them. 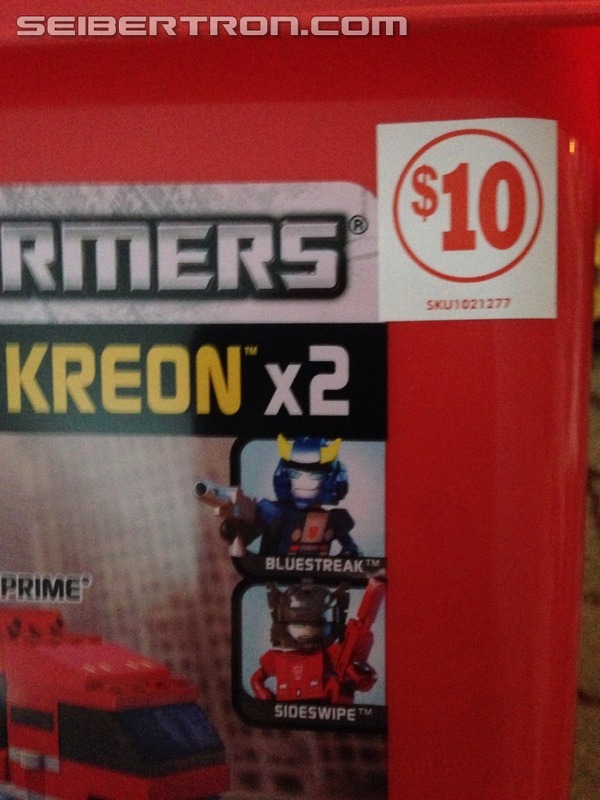 With Family Dollar stores opening in more and more places every month, you can buy locally and continue to support both the Transformers and Kreo brands. Have you seen them? Will you be buying? Let us hear your comments, join the discussion today! If you ever have news or what you think might be news, please know that we welcome your emails, so feel free to send us a message through our news submittance form. Who knows? The next news credit could be yours! 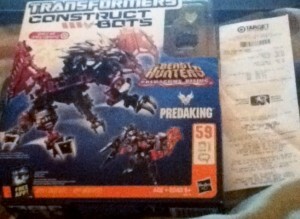 Seibertron.com member Goggle Convoy sent us an email letting us know that he found the Target Exclusive Construct-Bots Predaking in Knightdale, NC. The figure was priced at $24.99. If you have a new sighting, let us know by using the news contact form. Seibertron.com's own podcaster ScottyP was out and about and had a couple of interesting finds. 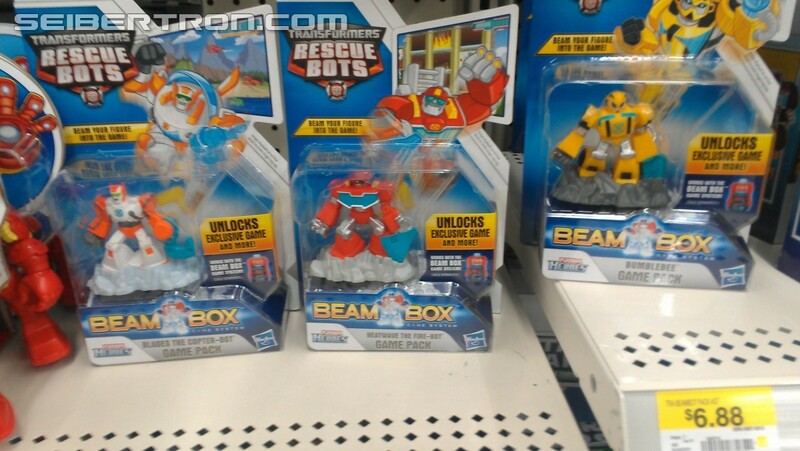 The Custom Kreons were found in a Toys 'R' Us in Raleigh, North Carolina while the Construct-Bots Scouts were found at a Wal-Mart across the street. 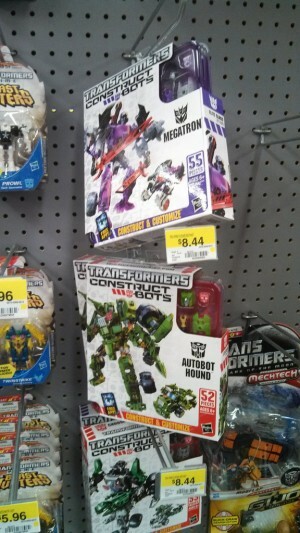 Seibertron.com user Goggle Convoy had notified fellow North Caroliners of the sighting of Contructbots Elite Megatron, Optimus and Hound in a Walmart in Raleigh, NC priced at 14.96 each. 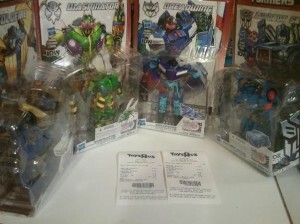 Mindmaster reported to the news staff, ScottyP took some photos - after three notifications, here is the proof that these sets are actually out there! (By the time the photo was taken, Optimus had gone.) Happy hunting, Constructbots fans. 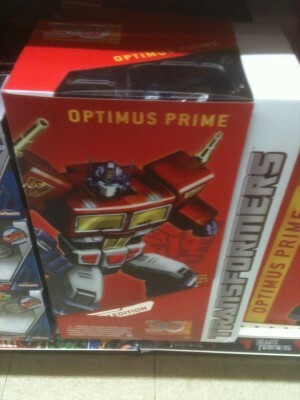 A perfect opportunity for fans who missed out on the Prime: First Editon figures! Mr. Shawn Smith-Ford dropped by to let us know that he spotted First Edition Bumblebee and Arcee at his local TJ Maxx in Lakewood, Colorado, for a whopping $6.99! 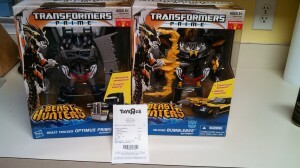 Thanks to the sharp eye of Podcaster ScottyP's lovely better half Candace we have a retail sighting of Transformers Prime Beast Hunters Weaponizers Beast Tracker Optimus Prime and Talking Bumblebee. 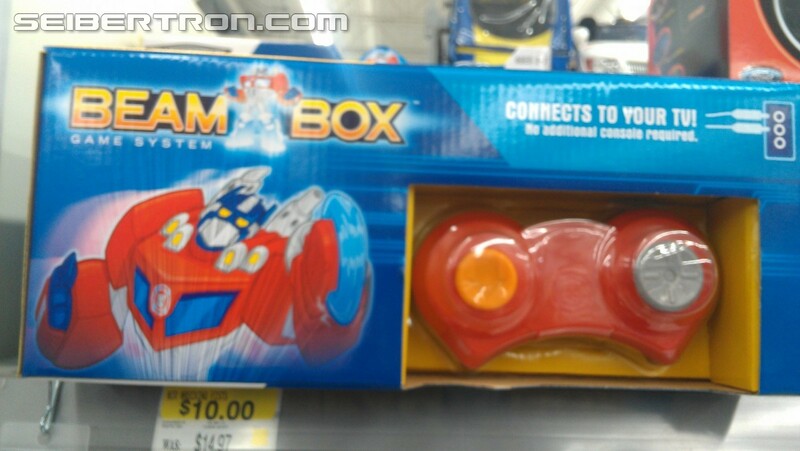 Both are reuses of their former Transformers Prime Robots in Disguise molds. Prime comes in green deco with the Dragon Sword and Bumblebee features a remolded face with mouth, giant bow accessory, and speech. 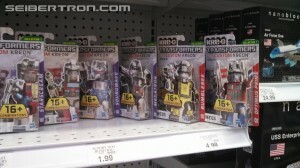 These were found in Raleigh, NC Toys"R"Us. 4,179 pages were recently viewed by 518 unique visitors. This page was viewed 2 times on Friday, April 26th 2019 3:07am CDT. © 2019 Seibertron, Inc. DBA Seibertron.com. All Rights Reserved. Established June 2000. Seibertron.com is owned by Ryan Yzquierdo.